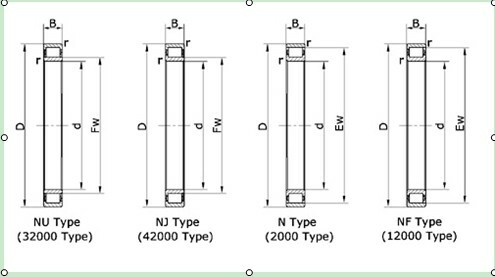 The NU 20/600 ECMA cylindrical roller bearings are separable bearings,the rollers are guided by the two ribs of bearing rings.The cage,rollers and guide ring are assembled to a unit, and can be separated from the other ring. These bearings are easy to be mounted and dismounted, especially inner and outer rings interference fit with shafts and housings. The NU 20/600 ECMA cylindrical roller bearing will working application: Cable Stranders,Worm gear, Screw Drives, Turbine engine mainshafts, Transmissions, large-size generators, machine tool spindles, axle boxes,bent axles of diesel engines, gearboxes, Mechanical presses, Electrical motors, Pumps and compressors, Traction motors for railway vehiches, Axle boxes for railway vehicles, Steel mills, And so on. JinHang Precision Bearing mainly export high quantities NU 20/600 ECMA Bearing and relative products, we have huge stocks for NU 20/600 ECMA Bearing and relative items, we supply high quality NU 20/600 ECMA Bearing with reasonbable price or we produce the bearings along with the technical data or relative drawings, It's priority to us to supply best service to our clients. 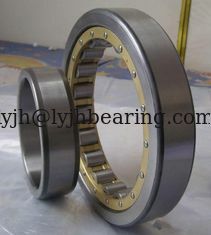 If you are interested in NU 20/600 ECMA Bearing, please email us lyjh@lyjhbearing.com so we will contact you directly. If there is any requirement with cylindrical roller bearings NJ series, NU series or NUP series, welcome to contact us.